Thailand: Honeymoon, Travel and Vacation. The Holiday Paradise in Southeast Asia. Thailand is a popular holiday destination in South East Asia. Many tourists come every year to Thailand for Beach holiday, honeymoon, Scuba diving vacations or for Traveling with Backpack. Thailand has for all kind of tourists the right destination. High Mountains, Hill Tribes and beautiful nature! North Thailand is a perfect destination in Southeast Asia for culture tourists and backpacker. Especially the golden triangle has many national parks with evergreen forest, waterfalls, hot springs and nice panoramic views. At Doi Inthanon National Park in Thailand’s Chiang Mai province you can enjoy huge waterfalls and many rare arts of flowers and birds. Thailand’s highest waterfall is in the Tak province. Mae Hongson and Chiang Rai are famous for simple life of the hill tribes like the Karen (Longneck Woman). Phayao, Nan and Uttaradit in north Thailand are perfect for quiet holidays surrounded by great nature and historic temples. Lamphun and Lampang are beautiful cities in SE Asia for temple fans and Traveler who like to explore this great Country in Asia. Another Travel and vacation highlight in Thailand is Sukothai. The historical temple city in Sukothai is a popular destination in Thailand for culture, religion and architecture tourists. Where ever you travel in northern Thailand, here in this part of the Kingdom you can find the unseen Thailand. 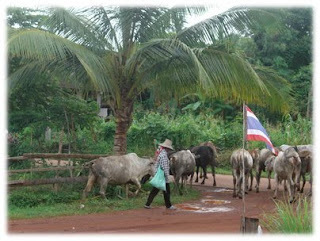 Isaan or North Eastern Thailand is the area next to Laos. Many traveler and Backpacker come to Isaan to explore the quiet and nice landscapes which are dominated by green rice fields and small mountains on the horizon. Udon Thani, Nakhon Ratchasima (Khorat), Nakhon Phanom and Roi-Et are great provinces in Isaan for a Travel Tour through Thailand. Central Thailand has many different destinations for a dream holiday in Asia. Kanchanaburi for example is very famous because of the bridge over the river Kwai. Bangkok, the capital of Thailand, has city parks, shopping miles, Bar Areas, beautiful Buddhist temples like Wat Pho and many many more. Tourists like to explore the capital before they travel to another holiday area in central Thailand. Koh Samet, Koh Chang and Koh Mak are nice options for Island holidays in Central Thailand in Southeast Asia. Pattaya is the most popular city for unforgettable vacations in this part of Thailand. Ayuttaya is a perfect travel destination in Thailand for backpackers and tourists who are interesting in history and old temples. 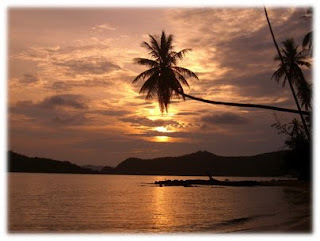 South Thailand has many beautiful cities and beaches which are perfect for beach and diving tourists in Asia. Phuket is very famous for luxury vacations in Thailand. Patong Beach and Kata Beach are just some of Phukets nice beaches. The Krabi province is a great destination for climbing and holidays on the beach. 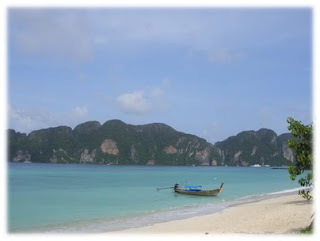 Koh Phi Phi Island in Thailand’s Krabi province offer perfect conditions for honeymoon and Scuba Divers. The Islands of the Surat Thani are great locations for high class holidays on perfect beaches. Koh Samui is the biggest of the Samui archipelago. Koh Tao is the diving stronghold in Thailand and Koh Phangan is famous for the Full Moon Party which is very popular for traveler and backpacker. Other beautiful provinces are Ranong, Chumphon and Petchaburi. Hua Hin is as well a great destination for luxury holidays in South Thailand. Where ever you go for vacation, honeymoon, holiday or for traveling in Thailand you will find nice places, beautiful temples, great nature and friendly people in this country in South East Asia! Next Chiang Rai belonged to the kingdom of Lanna, the land of million boxes. The provincial capital was founded in 1262 by King Mengrai and stayed for 30 years, the capital of his empire. For a long time belonged to Chiang Rai to Burma, and not until King Rama I, united the country again with Siam (1786). In cities such as Chiang Saen were destroyed but later rebuilt. The province has since 1910. Slightly more than 12% of the population of Chiang Rai are members of hill tribes, mainly Yao, Akha, Karen, Hmong and Lisu. 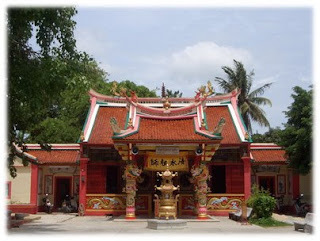 * Prathat Wat Doi Tung - Buddhist Temple (Wat) at Ban Huai Krai has been established for 911th It is here supposed to be housed a relic of the Buddha, hence the temple as the holiest of the region is considered. It also offers a fantastic view of the surrounding mountains and you can inspect the Buddha statues are among the oldest in Thailand. * Cave - at Tham Luang, the caves draw at 7 km into the mountain. * Sop Ruak (Golden Triangle) - the confluence of the Mekong with the Maenam Sai. The west bank of the Mekong is among Thailand, Laos to the east bank and the triangle between the Mekong and Sai on Myanmar. Lampang (Thai ลำปาง) is the capital of the province of Lampang. The province of Lampang is located in the northern region of Thailand. Lampang is the third largest city in northern Thailand and the capital of the district (Amphoe) Mueang Lampang. Lampang is located about 100 kilometers southeast of Chiang Mai in a vast plain of Maenam Wang, the distance to the capital Bangkok is approximately 600 kilometers. The city is surrounded by woods and picturesque mountain scenery, the Khuntan mountains to the west and the Pi-Pan-Num mountains in the east. The urban landscape is enriched by horse-drawn carriages. Neighboring districts (from north clockwise): Amphoe Mueang, the Pan, Chae Hom, Mae Mo, Mae Tha, and Ko Kha, Hang Chat Lampang Province, Amphoe Mae Tha, Lamphun Province and Amphoe Mae On Chiang Mai province. Lampang has a relatively dry climate. The "Winter" begins after the last monsoon showers in November and lasts until March. Cold air masses from Siberia sometimes lead (albeit relatively rare) to night temperatures below 10 degrees Celsius. The winter is usually very dry, sunny, clear and quite pleasant during the day, cool and often foggy at night. Summer usually lasts from March to June. In April, the temperatures rise to 40 degrees Celsius. Night At noon, there are more storms and rain. The rainy season begins in June and lasts until November. Lampang is located outside the major Monsumwinde and therefore does not suffer under the great floods that hit Chiang Mai in recent years frequently. Lampang was the capital of an eponymous Mon-principality, which in the 7th Century was founded. In the 11th Century did the Khmer empire, under King Mangrai to Lan Na. In the 16th Century, the Burmese conquered the entire northern part of present-day Thailand, including Lampang. In the late 18th Century assassinated Nan Thip Chang local Burma's rulers at Wat Phra That Lampang Luang, and drove in an uprising by the Burman. The successors Nan Thip Chang, known as the Chao Ched Ton ( "the seven princes"), the ruler of the Lanna cities, were attached to the Lan Na kingdom under King Chulalongkorn (Rama V) Siam (Thailand). Although Lampang by train, bus or plane is easy to reach, it was spared from mass tourism that has the character of Chang Mai and Chiang Rai changed so much. Tourists usually come in only for a brief stopover and visit one of the most famous Buddhist temples (Wat). Wat Phra That Lampang Luang - built in traditional style Lan_Na is considered one of the oldest surviving temples in Thailand and is known for its ancient wall paintings from the 19th Century. Wat Phra Kaeo Don Tao - one of the most revered temples in Thailand, built from 1680, beautiful wooden carvings in Myanmar style, and a clay elephant which serves as a reminder that once the famous Emerald Buddha in the 15th Century has been preserved here. Wat Sri Bunrueang and Wat Pa Fang are two extensive temple in Myanmar style, in the late 19 Century. extended by wealthy Thais was. Wat Phra That Chedi Sao - the Temple of Twenty Chedis. The station building in the town Phichai was designed from 1906 to 1912 built by the German architect Karl Doering. Very popular with tourists is the native Wang Khaeo Chae Son National Park and the waterfall, where there are more hot springs and waterfalls. Pai in Thailand’s Mae Hongson province is located between Chiang Mai and Mae Hongson Town. Pai is a popular destination for traveler and backpacker. 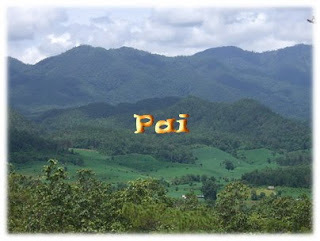 But Pai is as well a great village for luxury tourists and honeymoon. Many boutique Resorts are around Pai and offer luxury rooms in north Thailand. In Pai are many things to do: rafting, elephant riding, massage or just go shopping on the night market in Pai. For nature tourists has Pai many trips to beautiful spots. The Mo Paeng Waterfall is just one of three waterfalls around Pai. The hot springs and Pai canyon are as well easy to reach by taxi or motorbike. The capital of the Mae Hongson province in Thailand offer beautiful landscapes, caves, waterfalls and hill tribes. Inside Mae Hongson Town are some Hotlels and Resorts for tourists and traveler. Some cozy Guest Houses are at long the main road of Mae Hongson Town. 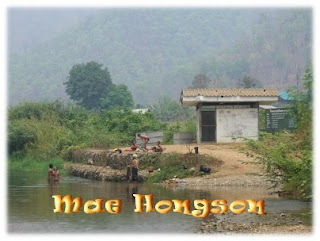 In Mae Hongson you have many travel and trip options. 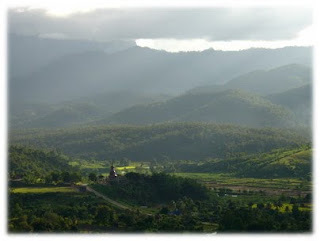 Temples and hill tribes are the most visited “attractions” in Mae Hongson. It’s worthwhile to rent a scooter and explore the area around the city. Rice fields and evergreen Forrest on high mountains dominate the landscapes here in north Thailand.